Not sure what kind of car this is, but I spotted it on the street and took a quick snap. Looks like a small engine tucked in the side, probably just enough for in-town speeds. Parking is surely easier. It would fit perfectly with the tiny house movement. Be careful on the roads. At Lincoln Financial Field in Philadelphia, there are several alternative energy installations. One of them is this huge solar array that hangs on the south side of the stadium. Not sure how much electricity that generates, but it’s certainly quite large. You can barely see the vertical windmills on the top left corner of the array. Might have to check into this and see how much juice they get. It would be interesting to know. 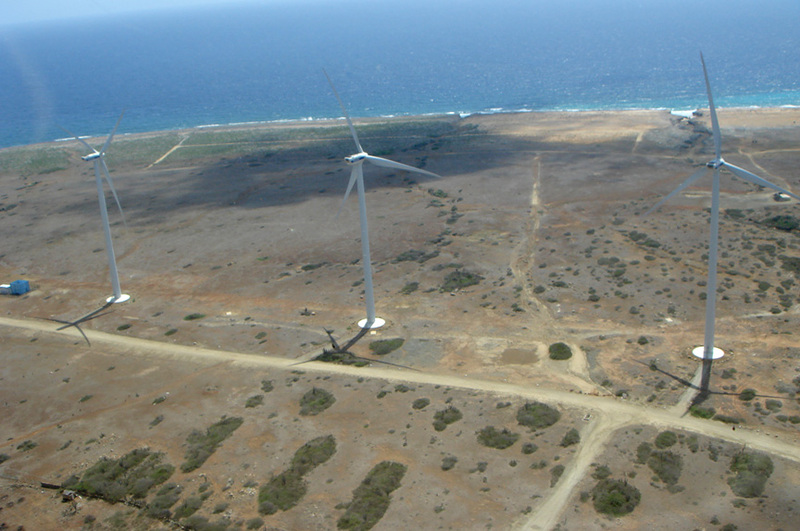 Several years ago, a series of ten large windmills were set up in Aruba. Each one has the capability to generate about 3 megawatts. Given the steady tradewinds that blow in from the east, these turbines run near full power for about 9 months of the year. Here’s a view of several taken from a helicopter. They stand about 300′ above the ground, facing east into the breeze. You can see the rugged shore at the edge of the frame. Here’s a look at a single unit. In earlier posts, I showed how the bases were constructed. They’re rather stout, and they better be, because sometimes that easterly blows in excess of forty knots, generating a tremendous amount of pressure against the tower. There is talk of more turbines coming to the island. In the mean time, large reciprocating power plants (think big diesel engines) have been installed at the WEB plant in Balashi. 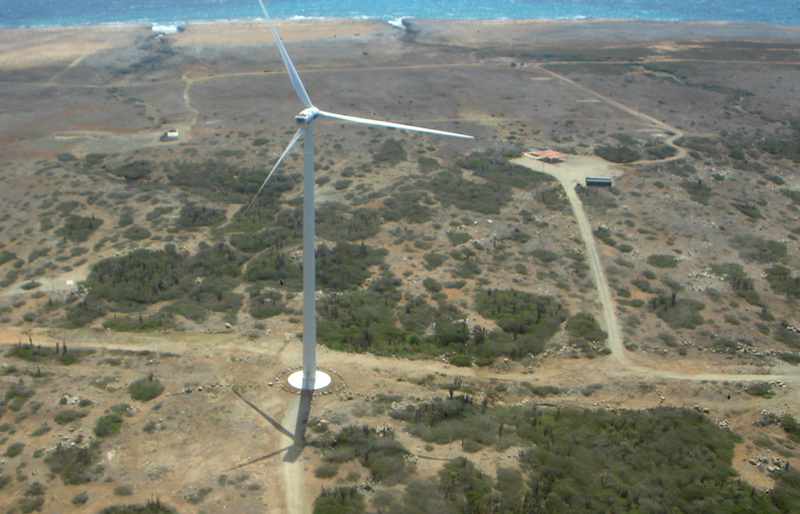 Either way, Aruba enjoys one of the most reliable power grids in the Caribbean. Madrid is an ancient city, no doubt about it. 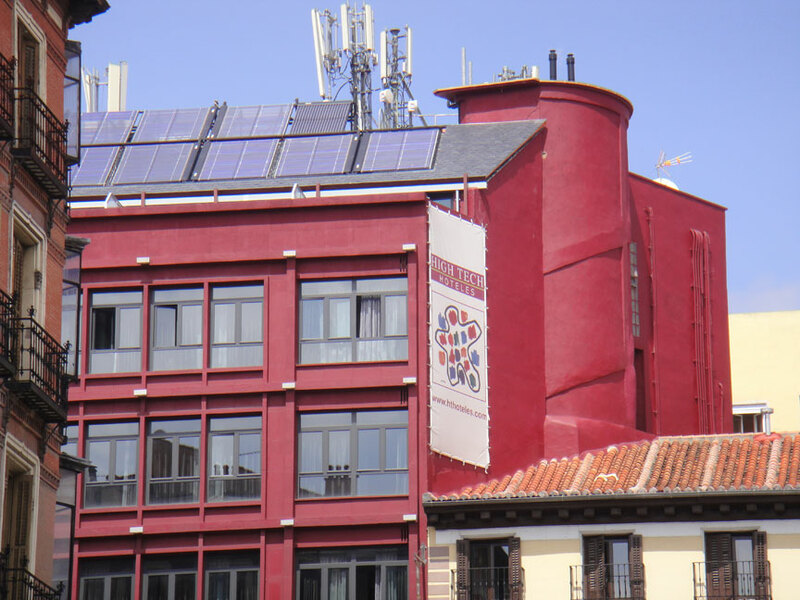 Still, you’ll find forward thinking people, including those operating this hotel near the Plaza Mayor. Look carefully at the roof. It looks like they have an evacuated tube system for heating water and some photovoltaic panels to make electricity. Good idea. There’s plenty of sunshine in Madrid, might as well use the energy. I would have liked to talk to someone at the hotel to see how much energy they were saving. Alas, not enough time.